Valet During Weekends. Street Parking also available. Combine Any Two $18, Combine All Three $19. Make It Drunken! Add Tequila For $2! High energy bar, server was excellent, very helpful and attentive. A great location and great service but they are penny pinchers and charge for every single thing! To simply enjoy chips and salsa while chatting and drinking before lunch there was a cost. There was so much ice in my drink, that I maybe got three sips from it! It seems they can't afford to uphold their perceived image. Lastly but super important is who they portray to be online is opposite of their actual image. A very informal and average restaurant. Restrooms are similar to a run down gas station. Food was good. Went for dinner during a family vacation to Hollywood. It is right on Hollywood boulevard. Had fresh guac, aheimp burrito and chicken fajitas. Large portions and good food. Had house margarita which was delicious. The street tacos are amazing and a great value for happy hour. Margaritas are a little mix heavy but still a great value for happy hour. Their wings are really tiny but delicious. Will definitely return. This is our go to spot for a night out and Mexican food! The service is outstanding from the hostesses, to the servers, to the bussers. Everyone is so friendly and engaging! The super burrito & the quesadillas are amazing!! Can’t wait until our next visit. Had some friends from Canada who wanted to have Mexican food. Since we were in the Hollywood area, we figured we’d stop at this place. First, they had no parking. We paid $20 to park behind the restaurant. When we got there, they were not busy, nonetheless, we waited about 10 minutes to be seated. Took about another 10 to get menus. Our server was nice. We ordered a pitcher of Margarita and appetizers, then eventually ordered our entrees. The friend who really wanted to have Mexican Food while in California was disappointed because the shrimp on his fajitas were not cooked well. 😥 apparently, he bit into a shrimp that was still somewhat cold on the inside. There were 7 of us who dined that day. When we got our bill, I tipped the server 20% (approx $45) and we left. I traveled that week and the next time I had a chance to call was the following Monday. Again, was placed on hold for a good 10 minutes and was told no manager was available. I asked when one would be and I got the same answer. I asked if I could leave my number for someone to call me. No one called. The following Monday, I was determined to resolve the issue regarding their forcing a customer to pay a hefty tip without disclosing it first. I called the restaurant the following Monday and again, no one to speak with. Only when the person who answered sense the frustration in my voice did she tell me that on Mondays, there is no manager on duty. I paid almost $300 for meals we were not that happy with. Overcharging is NOT ok. I could never recommend this place to anyone. Very disappointing. Made a reservation to sit inside and then the host suggested outside and I asked if we could sit inside as most of the restaurant was empty and he said “no” and sat us outside. We keep coming and coming to Te'Kila's because it's by far, the best restaurant in my neighborhood in my honest opinion. Thursday's fajita deal can't be beat, Sunday's all day happy hour is beyond great! The serving staff, gorgeous and friendly ladies who align with the restaurant's energy and make the visit fun! I'll keep coming and coming to this Great and delicious place. Thank you Maggie and Byanka! Our group of friends was visiting from out of town, and looking for a fun night out for dinner so we decided to make reservations (online) which is a big PLUS! No hassle they were very accommodating to our group and our waitress was such a doll! I can not wait to go back! P.S. their Cadillac margaritas are FIRE!! Not really clean and too much loud I suggest to take a seat inside . The food and service was really good. The food was very tasty, I just thought it was a tiny bit pricey. Great place for friends to gather but it’s noisy so it can be a little difficult to have a one on one conversation. Our waitress Maggie was absolutely amazing! I would give her 5+ stars she was super friendly and very helpful with our big group. Came here for on a Thursday and was able to get discounted fajita plates and $6 margaritas during their happy hour (4-8pm). The fajitas were delicious, and the bacon-wrapped shrimp we got were also very good. The margaritas, however, were very strong and weren’t that sweet. One complaint is that we requested an indoor seat through OpenTable but were told when we got there that they only had outdoor seating due to a large party that was coming - however, for the time we were there, we didn’t see any large party come in. Also, we were offered guac but found out when paying the bill that it was an extra $9. Great place cool atmosphere great waitress. Great happy hour value. Fun ight. Love this place...food, drinks, ambience, & service all GREAT!!! Excellent food, great service. Nice quick meal before a show at the pantages. We had a good experience at Te'kila. We went there to catch a quick bite before a show, I'm glad we did. Great food! Mexican done right! Drink options were also great. Loved this place! We arrived super early and parked at the Hollywood Bowl, took an Uber to the restaurant where a horde of Seahawk fans were watching the game (crazy fans). Had drinks and ordered dinner. Food was great or waitress was super attentive. When we were done took an Uber back to the bowl and enjoyed the concert. Fabulous find. Didn't know where to have dinner before our play at the Pantages, so went on just reading a couple of reviews. Reasonable prices and very good food, watermelon margarita was out of this world. Perfect before theater plans, make reservations ahead of time. Great, friendly staff. The Cadillac Margarita was excellent and the food extremely tasty. Possibly the best black beans I've ever had. Will definitely return. Friendly service. Strong drinks. Good music and decor. Came here specifically for the tequila flight - and was well worth it. Our server BIANCA was not only one of the best in terms of knowing tequila inside out she was hands down one of the best servers I have ever had and really made the experience. We sat outside and the noise level was pretty loud (DJ playing at sister restaurant directly across the way) and perhaps it was quieter in doors but that would be the one down fall. Menu is somewhat basic but the carne asada fries were pretty fantastic as were the tequila lime chicken wings. Great place for Taco Tuesday! Byanka, Marina and Maggie are amazing - tip them well!!! Needed a place for a quick bite before a show and wound up here. Hadn't realized it was Taco Tuesday which was a great bargain but very crowded. Glad we had a reservation or it would have been a 45 minute wait. It was pretty loud but the food was good, fast and cheap. The greatest service and a fun little wooden bar tucked away on Hollywood Blvd. Good for people watching and hiding away! Small place, outdoorsy, Surprisingly very good food and drinks... Biggest surprise was the Cilantro rice and sweet carnitas... very tasty.. Waitress was very friendly and attentive.. Overall experience was great! The food was good but I wouldn't make a special trip to get there. I liked the tequila flight - the waiter did a nice job at making some suggestions and I learned more about tequilas. We went there for Opening Day for Football. Great Seahawk Fan Bar!! Food was great, service was great and drinks were great! Will definitely come back again!!! The food was delicious. 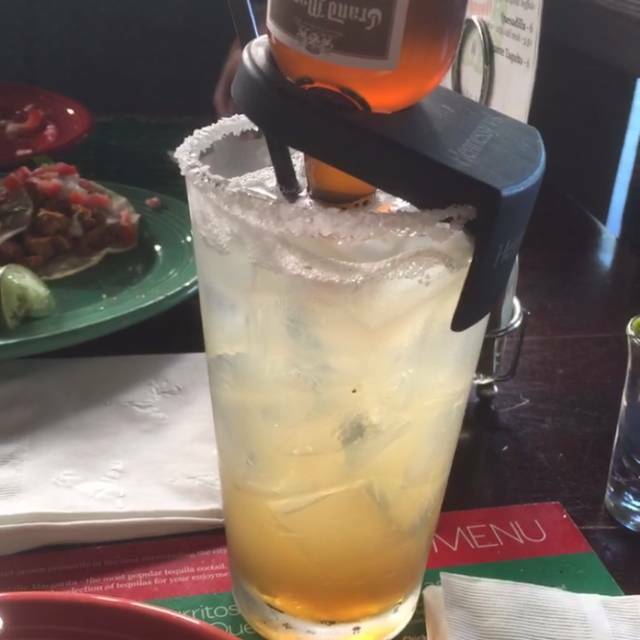 If you are a tequila drinker, you'll love their selection of creative drinks. We had such a great time! The food was good and service was fantastic! def a place for happy hour! We had a great time! Happy hour menu was on point. Our absolute favorite were the lime chicken wings. Zesty!! Very tasty, authentic Mexican food. Prices are reasonable and food is well prepared. I would recommend this to anyone looking for a casual meal when in Hollywood.